My sophisticated friends told me I'm not sophisticated enough to truly appreciate the subtleties of the final episode of "The Sopranos." It did not end with a bang. Having watched all season, I observed Tony's descent into madness: him murdering Christopher, being cut loose by his shrink, the bloody war with the New York branch of the mob. Simple me, I thought it would take more than a phone call to end the war and more than a car and a phony job to set A.J. straight. 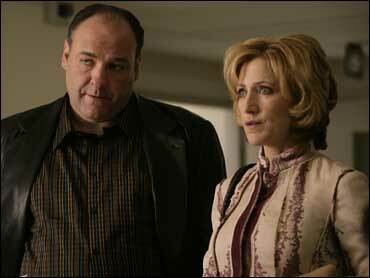 "Don't you see," say my smart friends, "that 'The Sopranos' was always about family?" Sociopaths have families, too, they say, and they are just like mine and yours. And what of the idea that the entire show was an allegory that America is just like 'The Sopranos' — vile, corrupt, insufficiently curious and self-indulgent? I was born a Calvinist. I got that the first night. "The Sopranos" — miss it I will, everything but, the last episode.